Circa 1937-1944: Modeled in the spring of 1937, Kitchen Kraft was dipped in four of the Fiesta colors of green, yellow, cobalt and red. 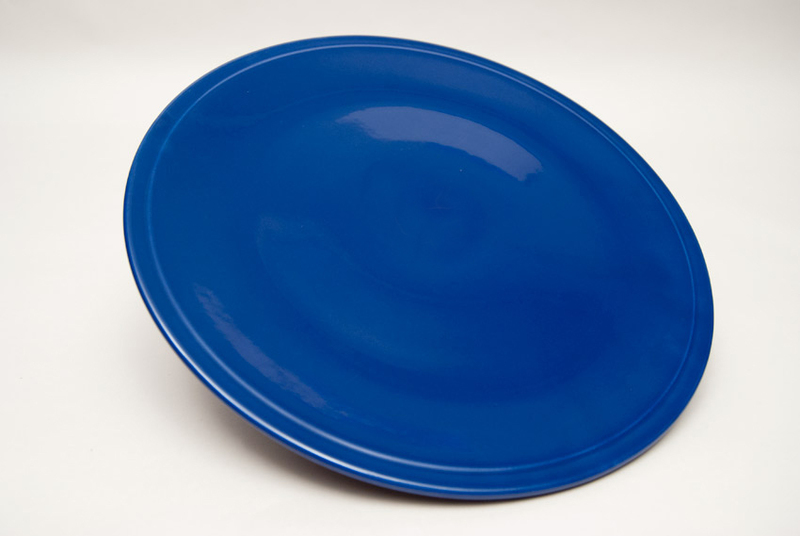 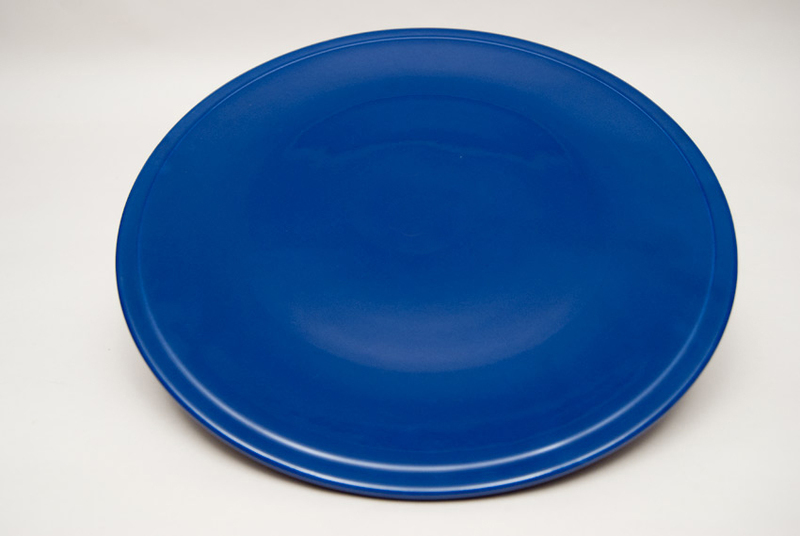 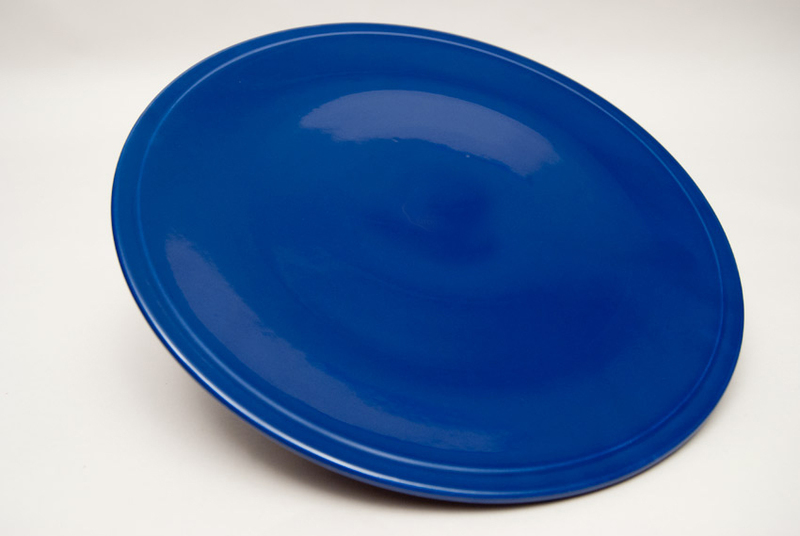 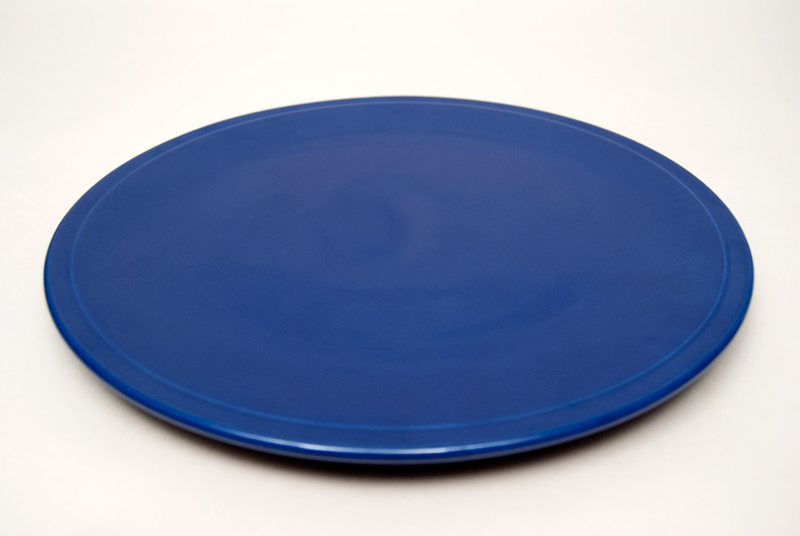 The fully glazed 11" cake plates only decorative addition is a minimal step along the edge, otherwise it is fully flat and devoid of any decoration. 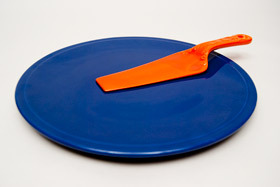 The Kitchen Kraft cake plate was one of the items that was originally marked only with a foil label and no mark impressed into the pottery itself. This example is in excellent condition without damage or signs of excessive use. Measures 11" wide.